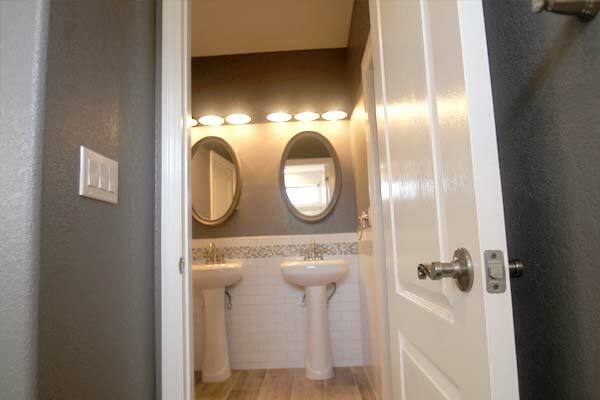 Bathroom remodeling project in Cape Coral with modern style. 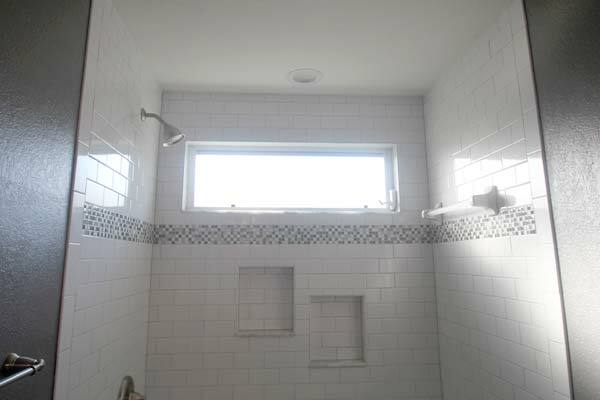 The bathroom remodeling photos above showcase a recent project for a Jack and Jill bathroom we completed in the Cape Coral, Florida area. 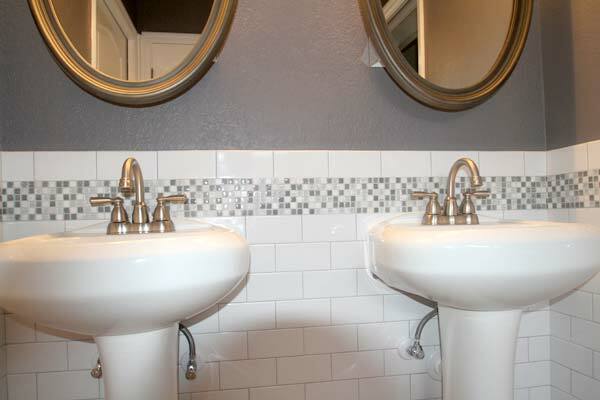 Two new pedestal sinks are accented with modern white subway tiles and a glass border treatment. 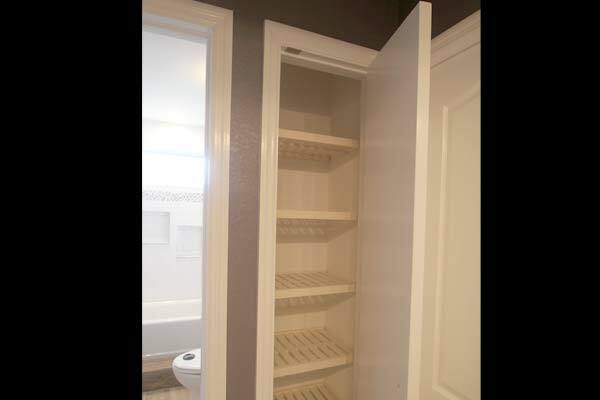 A linen closet was added to create ample storage. 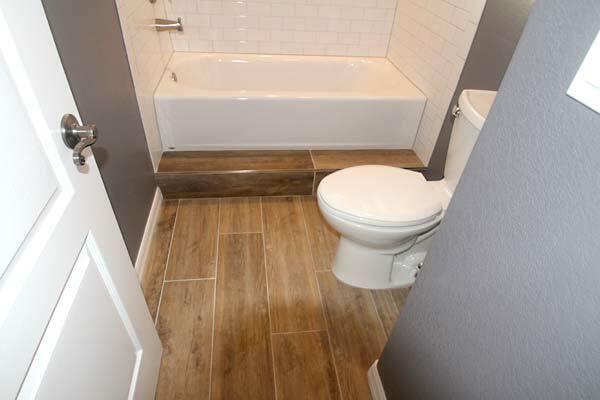 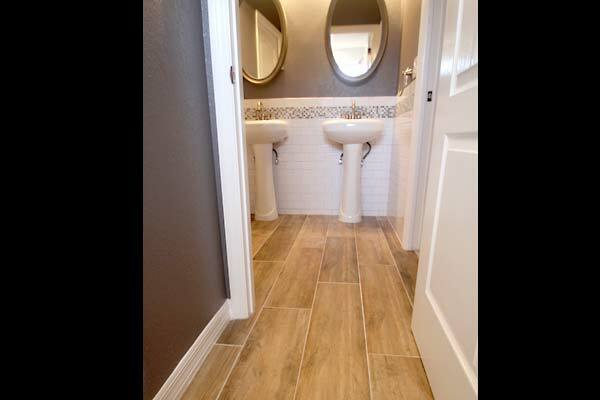 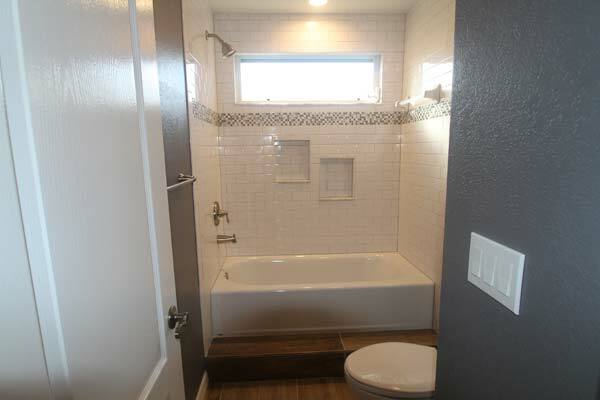 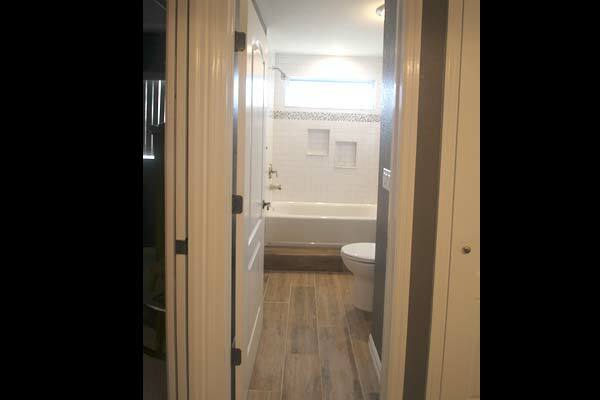 New wood-like tile flooring throughout the bathroom adds just enough warmth to highlight the modern style. 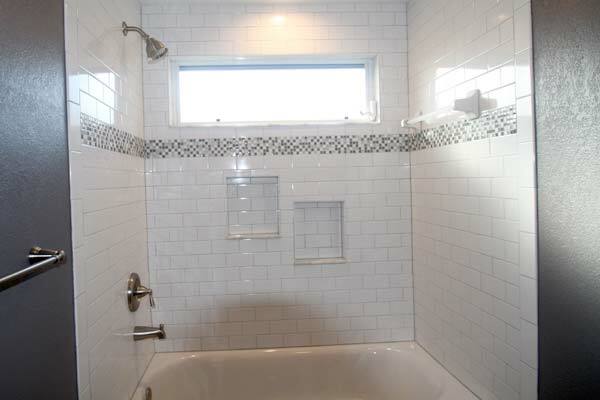 The shower area creates a private retreat separate from the adjoining bedrooms. 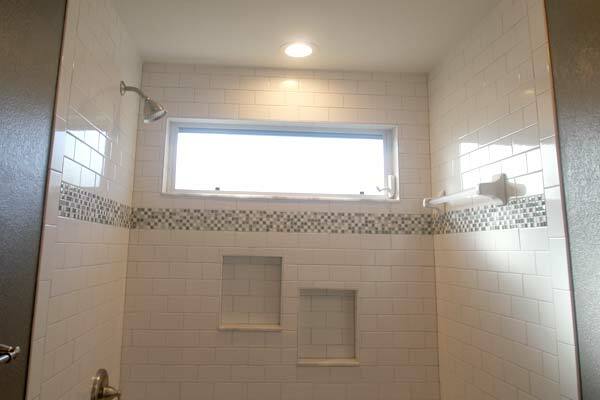 The shower was accented with coordinating subway tile, a glass mosiac tile border and inset cubbies for easy access to bath essentials. 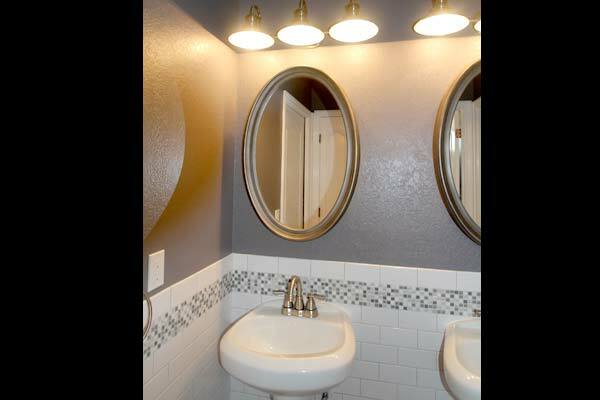 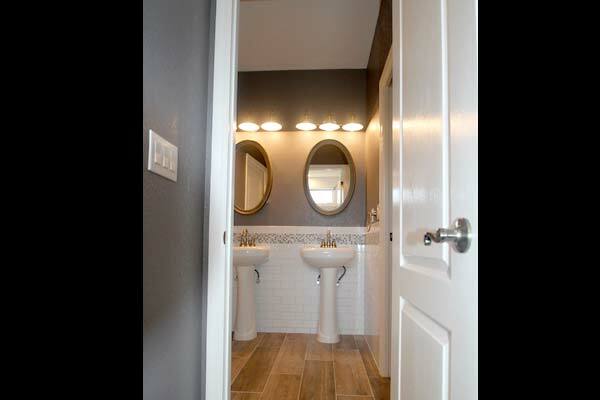 New brushed nickel hardware and oval mirrors add the finishing touches to this bathroom remodel. 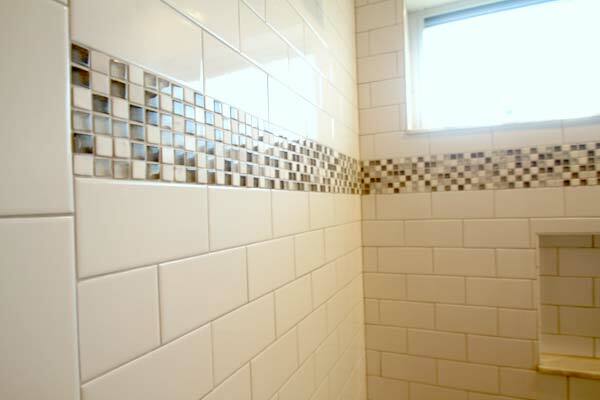 Distinctive Contracting would love to talk with you about your next bathroom remodeling project. 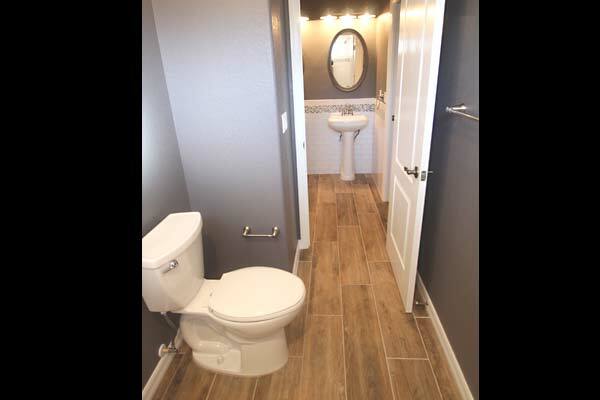 We are a Florida licensed building contracting company providing remodeling and repair services throughout the Cape Coral and Fort Myers area. 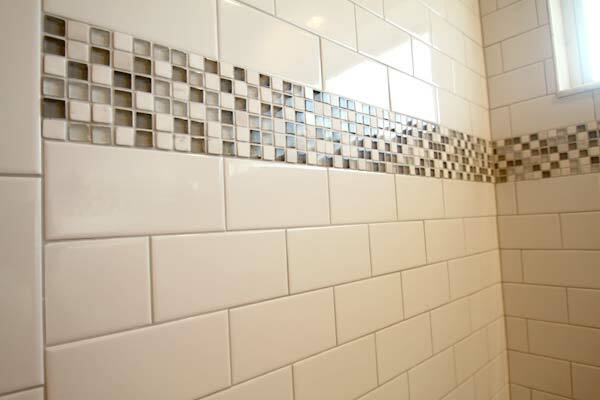 We pay attention to the details and deliver quality workmanship to our client’s projects. 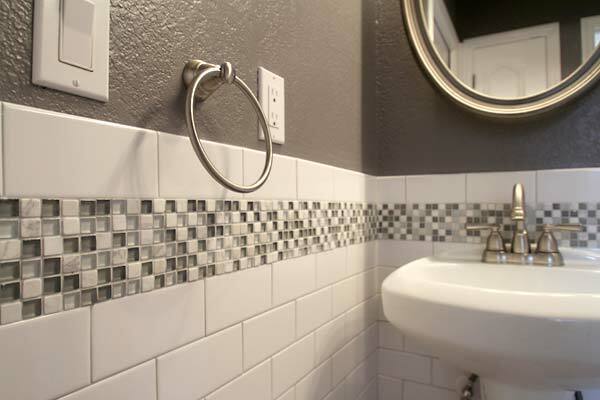 Projects can range from minor bathroom updates to a major bathroom remodel. 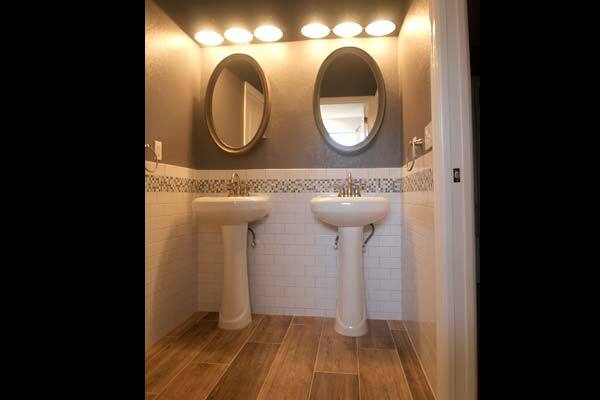 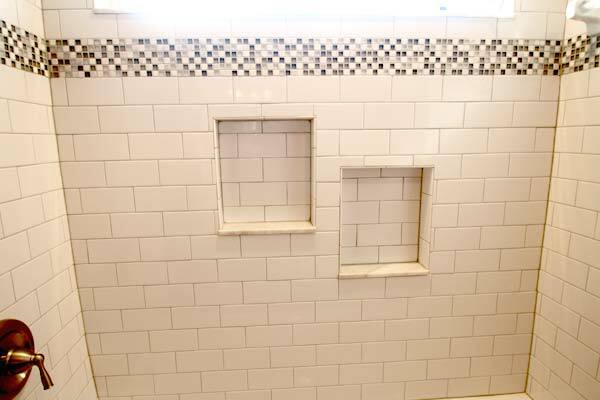 Contact us today to receive a free consultation on your bathroom remodeling project large or small. 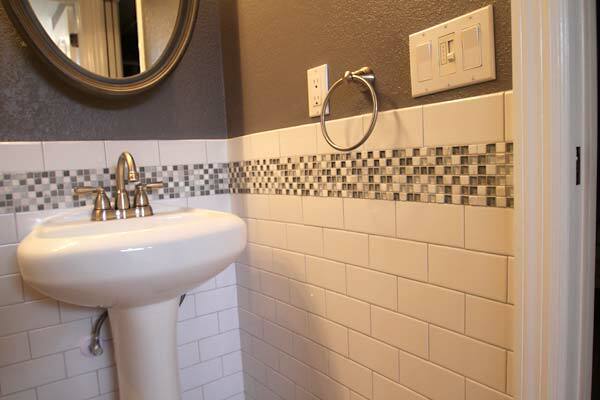 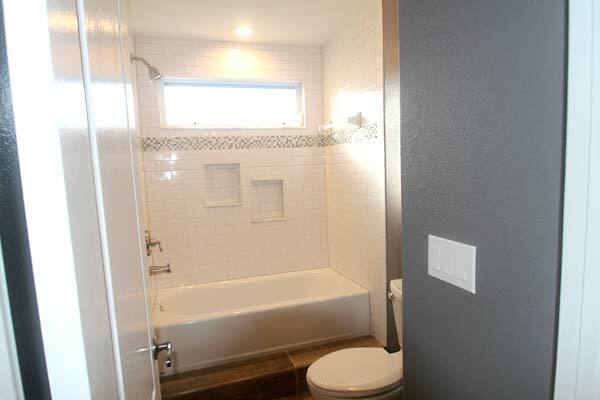 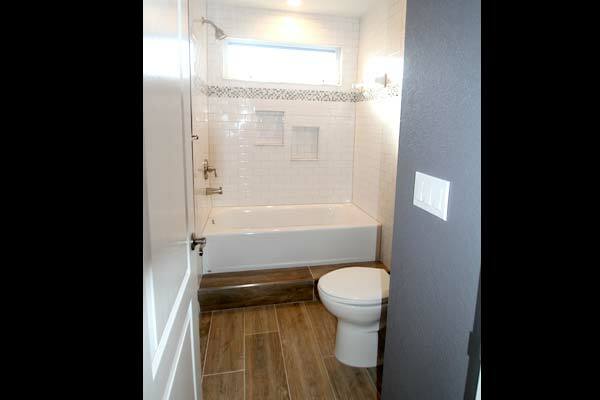 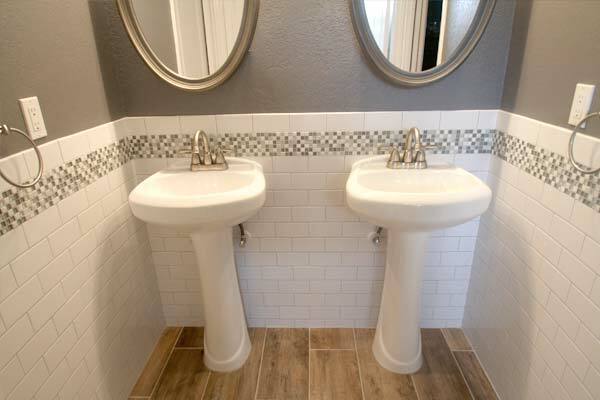 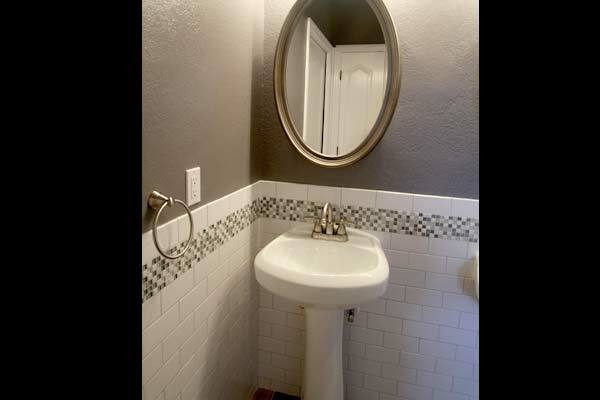 Click to view another bathroom remodeling project.